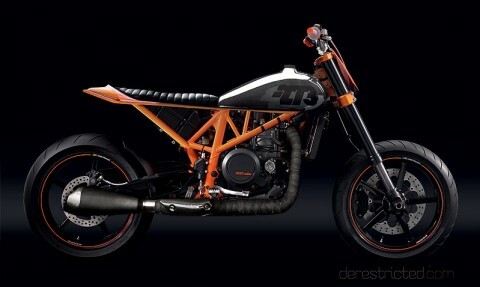 No offense to Roland Sands as I have a lot of respect for his work, but THIS is the way to do a desmotracker. Another fine Bikenstein from MP. Finally got around to making another bikenstein. More or less a modified classic Elsinore Honda mixed with some SuperDuke R, EXC, a 990 Engine and various other bits and bobs. Work in progress. 2 new KTM Bikensteins spotted over at Simkom. No name on them though so not sure who to credit. The seats are way too small to ride the bikes properly but interesting designs anyway. Thanks Maxime for the headsup. 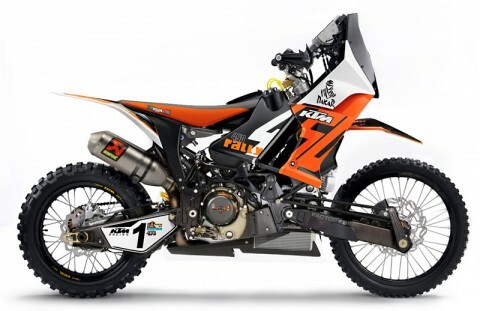 Small bore tuned 350cc 4 stroke based on the KTM 125 engine and frame, 125 r wheels and 125 stunt forks with various other mods, tweaks and additions. 2 different variations. Maxime from Kiska just sent me the craziest Bikenstein yet which was built in collaboration with an ex colleague of his Mark. Some KTM Adventure, some superduke and some mad proportions in there.